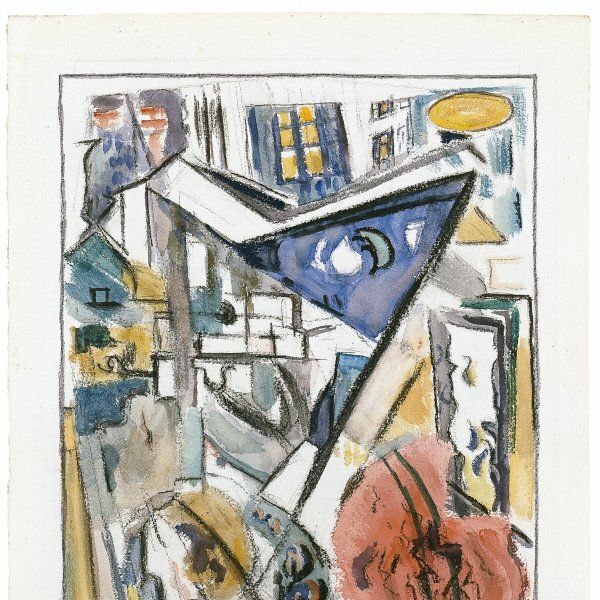 John Marin belonged to a group of artists of the circle of Alfred Stieglitz who were interested in modernism in the United States at the beginning of the twentieth century. Unlike the oeuvre of many of his contemporaries, his work was praised by critics and he became the first American painter to have a retrospective exhibition at The Museum of Modern Art in New York in 1936. Marin took up painting relatively late, after studying architecture at the Stevens Institute of Technology in Hoboken and working for a brief spell as a draughtsman. He studied at the Pennsylvania Academy of the Fine Arts in Philadelphia from 1899 to 1901 and travelled to Europe between 1905 and 1911, where he became acquainted with the latest art trends.Marin’s first one-man show was held at Alfred Stieglitz’s 291 Gallery in 1910 and the following year he settled in New York. From this point onwards his work was shown in solo exhibitions practically every year and Ferdinand Howald became his main patron in 1920. Landscape became Marin’s favourite theme following his trip to Europe, during which he immortalised some of the places he visited, such as Saint Peter’s square. On returning to America, he spent winters in the city and summers in the country (Maine, New Jersey, New England, New Mexico and Canada.) His works were therefore divided into two main groups: urban views, and rural scenes and seascapes. Marin was initially attracted by Impressionism and Post-Impressionism and in the early 1910s he developed an interest in Fauvist colour and forms that tended towards schematisation and a certain geometry. This preference increased over the years and gave rise to works in which the planes were fractured and the lines hinted at movement. From 1930 onwards figures became more important elements and he rarely abandoned figuration completely. 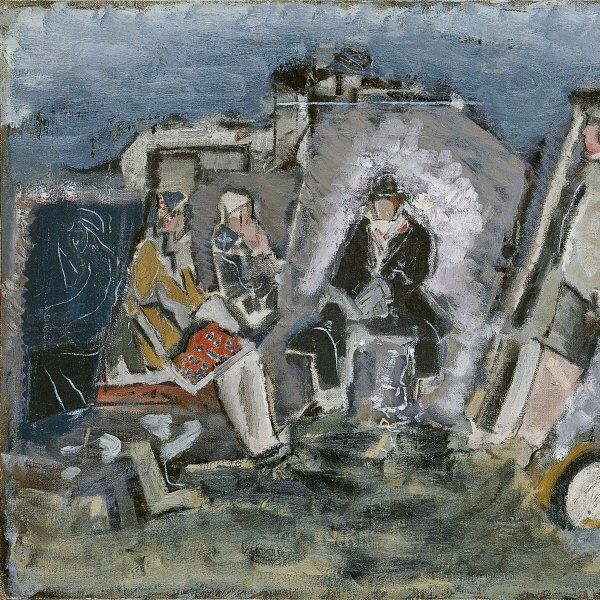 One of these exceptions was in 1917, when he conducted one of his abstract experiments that have been linked to the works of Marsden Hartley, a friend of his who also belonged to Stieglitz’s circle.